LP Inspired Rainbow Watercolor Pattern #3 Adhesive or HTV Heat Transfer Vinyl for Shirts Crafts and More! LP Inspired Starfish Pattern #1 Adhesive or HTV Heat Transfer Vinyl for Shirts Crafts and More! LP Inspired Coral Pattern in Red, Black & White Adhesive or HTV Heat Transfer Vinyl for Shirts Crafts and More! LP Inspired Rainbow Watercolor Pattern #2 Adhesive or HTV Heat Transfer Vinyl for Shirts Crafts and More! Paisley Pattern #1 Team Colors YOUR CHOICE Adhesive or HTV Heat Transfer Vinyl for Shirts Crafts and More! 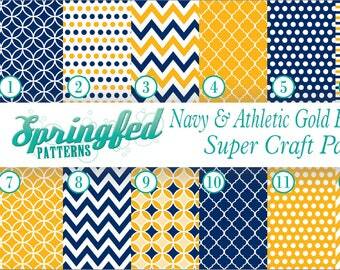 LP Inspired Coral Pattern #1 in Orange, Navy Blue & White Adhesive or HTV Heat Transfer Vinyl for Shirts Crafts and More! Mandala Tie Dye Pattern #3 Adhesive Vinyl or HTV Heat Transfer Vinyl for Shirts Crafts and More! Mandala Tie Dye Pattern #2 Adhesive Vinyl or HTV Heat Transfer Vinyl for Shirts Crafts and More! Large Polka Dots Pattern #1 Basic Colors YOUR CHOICE Adhesive or HTV Heat Transfer Vinyl for Shirts Crafts and More! 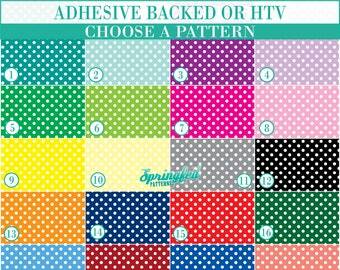 Medium Polka Dots Pattern #1 Basic Colors YOUR CHOICE Adhesive or HTV Heat Transfer Vinyl for Shirts Crafts and More! LP Inspired Palm Trees Watercolor Pattern #1 Adhesive or HTV Heat Transfer Vinyl for Shirts Crafts and More! LP Inspired Starfish Pattern #2 in Black & Red Adhesive or HTV Heat Transfer Vinyl for Shirts Crafts and More! Red & White Stripes Pattern #1 Adhesive or HTV Heat Transfer Vinyl for Shirts Crafts and More! Watercolor Pattern YOUR CHOICE Adhesive or HTV Heat Transfer Vinyl for Shirts Crafts and More! LP Inspired American Flag Pattern #1 Adhesive or HTV Heat Transfer Vinyl for Shirts Crafts and More! ANCHOR #2 cut vinyl decal Car Truck Window Sticker for Almost Anything! LP Inspired Montauk Pattern in Red & Black Adhesive or HTV Heat Transfer Vinyl for Shirts Crafts and More! Mermaid Scales Pattern #2 in Pinks Adhesive or HTV Heat Transfer Vinyl for Shirts Crafts and More! LP Inspired Paisley Pattern #5 Adhesive or HTV Heat Transfer Vinyl for Shirts Crafts and More! LP Inspired Starfish Pattern #2 in Royal Blue & Red Adhesive or HTV Heat Transfer Vinyl for Shirts Crafts and More! Buffalo Plaid Pattern #1 Basic Colors YOUR CHOICE Adhesive or HTV Heat Transfer Vinyl for Shirts Crafts and More! Red Bandanna Pattern Adhesive Vinyl or HTV Heat Transfer Vinyl for Shirts Crafts and More! Watercolor Pattern #4 Adhesive or HTV Heat Transfer Vinyl for Shirts Crafts and More! Small Polka Dots Pattern #1 Basic Colors YOUR CHOICE Adhesive or HTV Heat Transfer Vinyl for Shirts Crafts and More! Mermaid Scales Pattern #1 in Purple Adhesive or HTV Heat Transfer Vinyl for Shirts Crafts and More! Paisley Pattern #1 in Royal Blue, Grey & White Adhesive Vinyl or HTV Heat Transfer Vinyl for Shirts Crafts and More! Chevron Stripes Pattern #4 in Blue Ombre Adhesive or HTV Heat Transfer Vinyl for Shirts Crafts and More!